Regent Cathy McAdoo was elected to serve on the Board of Regents of the Nevada System of Higher Education in the 2016 election as the representative for District 8. She currently serves as chair of the Academic, Research and Student Affairs Committee and vice chair of the Health Sciences System Committee. She is also a member of the Community College Committee and the Cultural Diversity Committee. 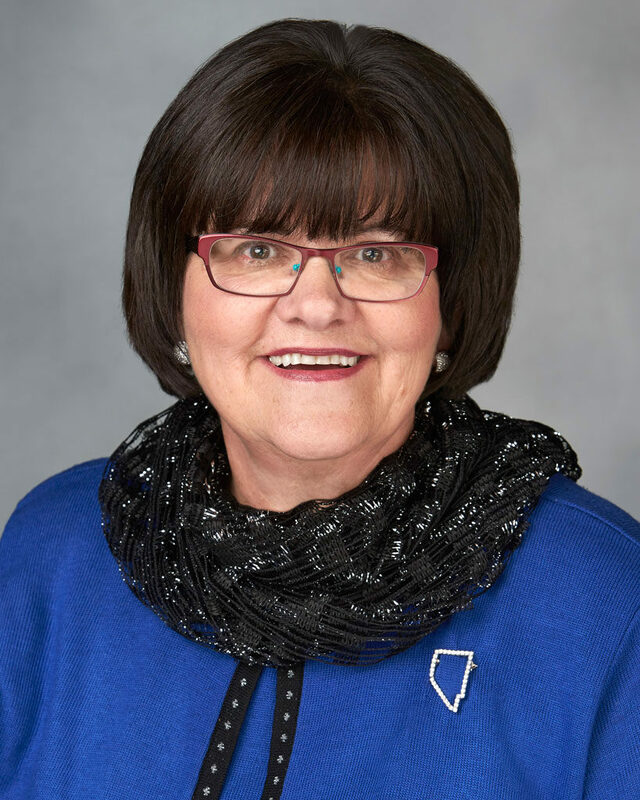 In January 2018, Regent McAdoo was appointed by Governor Brian Sandoval to serve as the representative of the Nevada System of Higher Education on the State Board of Education. Regent McAdoo was born in Oklahoma and reared in Kansas, eventually moving to Nevada with her husband Kent who had accepted a graduate research study with the University of Nevada, Reno. While living in the outback of rural Nevada for 13 months, trailing a band of sheep for Kent’s research project, the couple found rural Nevada irresistible and has called it home ever since. They chose to live in Elko, where Regent McAdoo most recently served as the founding Executive Director of PACE Coalition, a nonprofit organization whose mission included educating students in Elko, Eureka and White Pine counties about healthy life choices. This position afforded her 14 years of board experience at PACE and the opportunity to serve on other boards. Regent McAdoo’s interest in serving Nevada as an NSHE Regent stems from her own passion for life-long learning. Through her career pathway, volunteer activities, love for people, and her commitment to healthy communities, education remains at the core of what she does and who she is.